There are some who still believe that Toshiba made good on its announcement to cut NAND flash production by 30%. Let’s take a close look to see if that really happened. Readers may recall that Toshiba stated last July that it would immediately cut NAND flash production by 30%. At the time NAND was selling below cost for spot prices as low as 31 cents/GB. The Memory Guy questioned both the wisdom of the move and its authenticity in a blog post at that time, since this level of cut would reduce Toshiba’s market share while increasing its production costs and reducing profits. It was difficult to imagine that there was a good reason to take such a step. Announcing such a reduction, on the other hand, might improve pricing, and this is precisely what occurred. The news caused NAND flash prices to increase nearly 20%, from 31 cents to 36 cents/GB, within 2 weeks of the announcement. This leads to this post’s graphic. It plots Q2-Q3 bit growth (across the bottom) against revenue growth (on the vertical axis.) 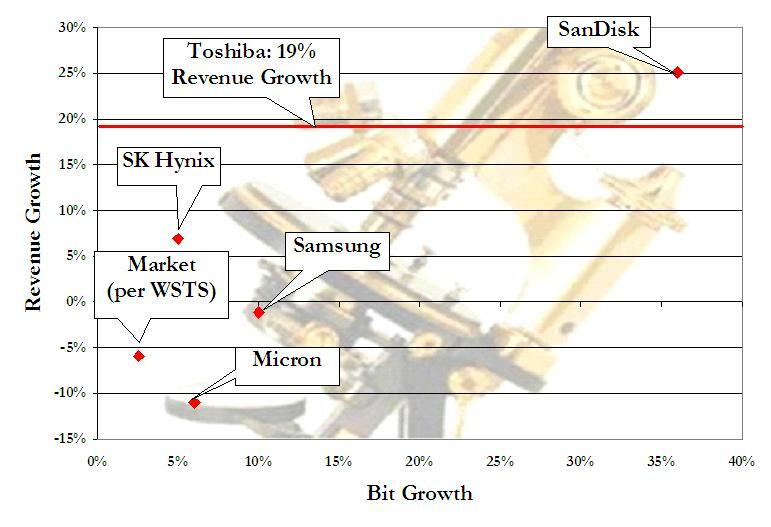 The spots show the numbers shared by Samsung, Hynix, Micron, and SanDisk, as well as those of WSTS. Click on the graphic for a larger view. In fact, Intel’s contribution to the NAND market as a whole is small enough to be safely disregarded. The horizontal red line represents Toshiba’s 19% memory revenue growth from Q2 to Q3. The company’s memory business consists of very little other than NAND flash, so we will ignore the other bits and pieces. Looking at the general trend it becomes clear that Toshiba overcame a considerable obstacle in increasing revenues while decreasing bit production. 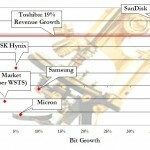 All of the company’s competitors increased bit production, yet Samsung and Micron still underwent a revenue decline. From this we can draw either of two conclusions: Either Toshiba found a way to decrease production by 30% while increasing revenues by 19% (while other companies struggled to keep revenues constant while increasing bit production) or Toshiba did not carry through on the announced production cuts. I leave it to the reader to decide. Note that the WSTS point shows bit growth that is lower than that of any of the companies included in the chart. (Keep in mind that SanDisk is not included in WSTS figures.) This implies that Toshiba provided WSTS with bit shipment figures that agreed with the company’s announcement. This should be considered when using WSTS as a gauge for market sizing. The NAND flash market is one that Objective Analysis watches quite closely. Our clients have become accustomed to learning when announcements might not coincide with actual events. We welcome all opportunities to work with companies that need accurate and honest information on the market’s direction. 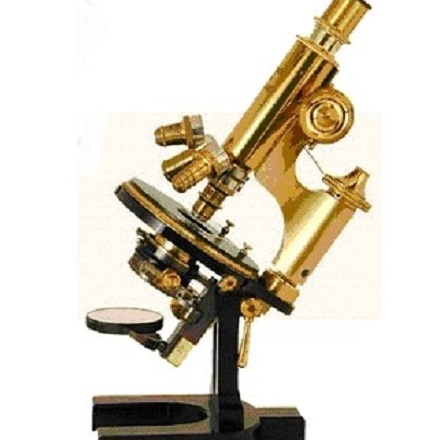 Please contact us to explore ways that we can work together so that our solid understanding of the market and its direction can help your firm make better business decisions.